I’m currently using this app on the original iPad and it runs great! This app also runs on Android devices and the iPhone. It also has retina (HD) support. When first opening the app you are greeted by a split column view with ‘classes’ on the left and ‘homework’ on the right. 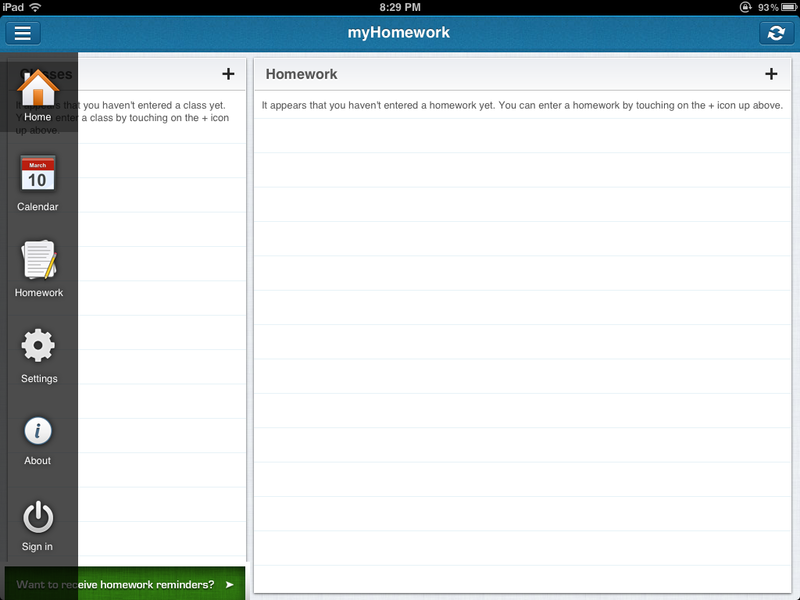 You can add homework and classes by tapping the ‘plus’ buttons. When you add homework you are prompted to type in: Homework Description, Class, Type, Due Date, Due Time, Priority, Additional Info, and Reminder. Keep in mind these form elements are not required. When you finish a homework assignment you can swipe to the left or right to mark complete or delete. If you hit the action button on the top left it will bring up the side menu which allows you to access all the features. The calendar section is composed of three elements. The calendar shows you the month and you can choose a date to see what you have due in the ‘due’ section and what classes you have that day in the ‘classes’ section. This section is good to see your upcoming assignments and to plan. You an add an assuagement by tapping the corresponding ‘plus’ button. The homework page is composed of three elements which show your complete homework, late homework, and upcoming homework. 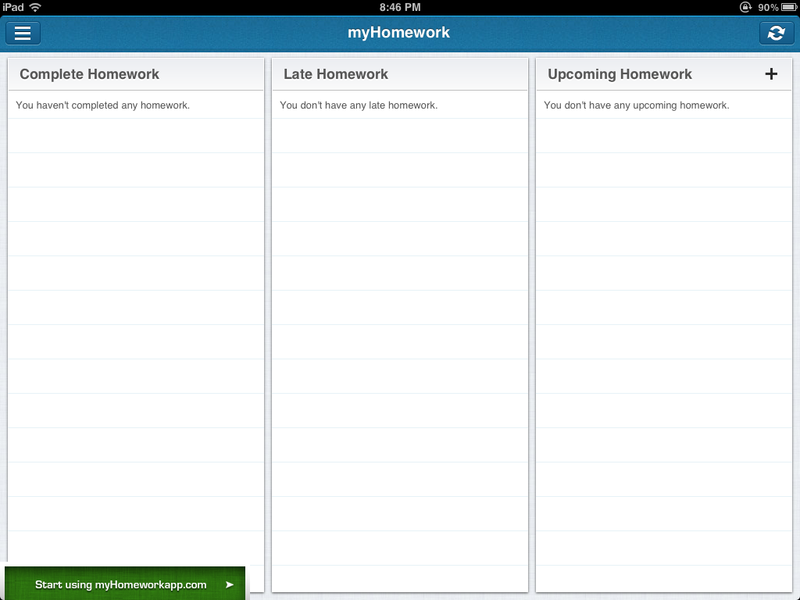 Homework can also be added on this page by tapping the‘plus’ button. 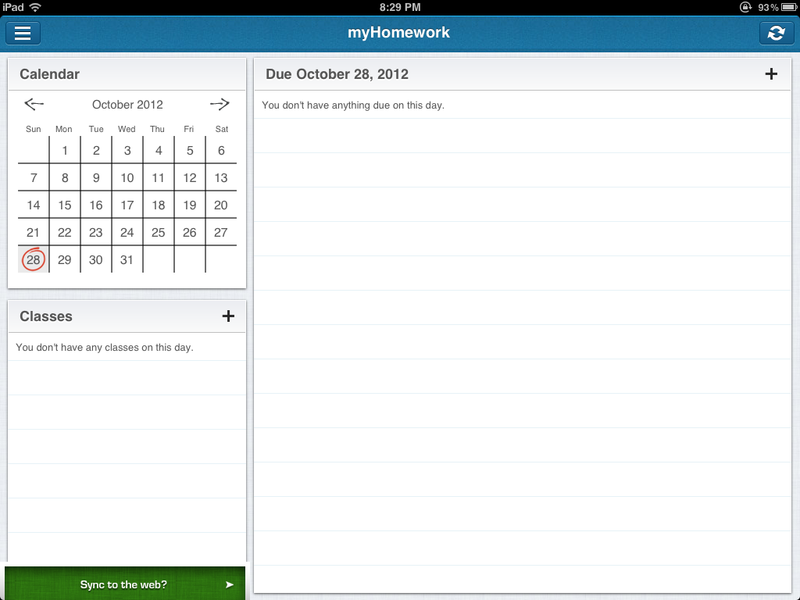 Receive homework reminders on your devices. Auto-Sync between all devices with app and the website.